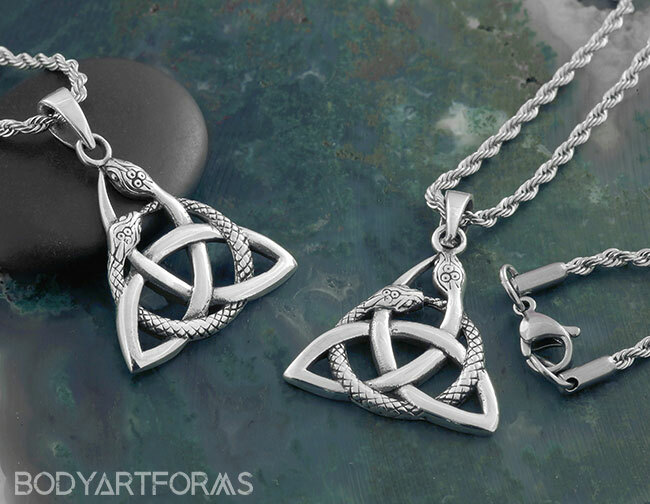 Also known as a trinity knot, the triquetra is an old Celtic symbol. This silver necklace features such a design, formed by two coiled snakes. The entire pendant hangs 23mm from chain.